Now for this recipe, I used small bell peppers because that is the only size my garden is producing. If you’re using larger ones, just crack in a few more eggs and bake a little longer until the eggs set. 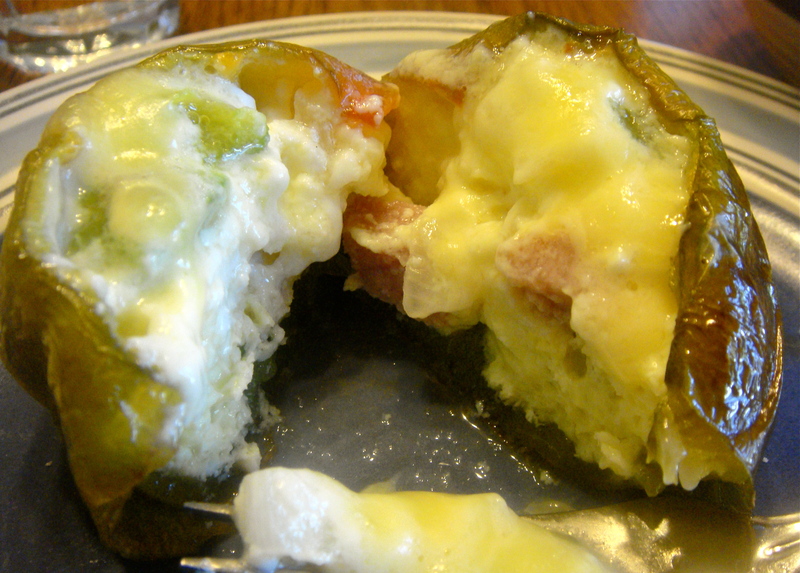 Of course, you can also fill the peppers with other fillings. Since I was using bell peppers, I thought I’d go for a western omelet theme. Preheat the oven to 375 and spray a baking pan with cooking oil. With 3 whole mini bell peppers, cut off the tops and deseed. If the peppers cannot stand up straight on their own, cut off a small portion at the bottom in order to make a flat surface. Place the bell peppers on the baking pan and spray the outsides with cooking oil. In a bowl, scramble 3 eggs. Transfer the eggs to into each pepper, filling each one up half way. Chop up the remaining half pepper, onion, and ham. Place the desired amount of filling into each bell pepper. Top with any remaining egg. If there is still a lot of space in the pepper, add in more filling or fill with water (milk is also fine) until you’re mixture is about a 1/4 inch away from the rim of the peppers. With a small fork, gently swirl your egg mixture a few times. Transfer the peppers to the oven for 40 minutes. 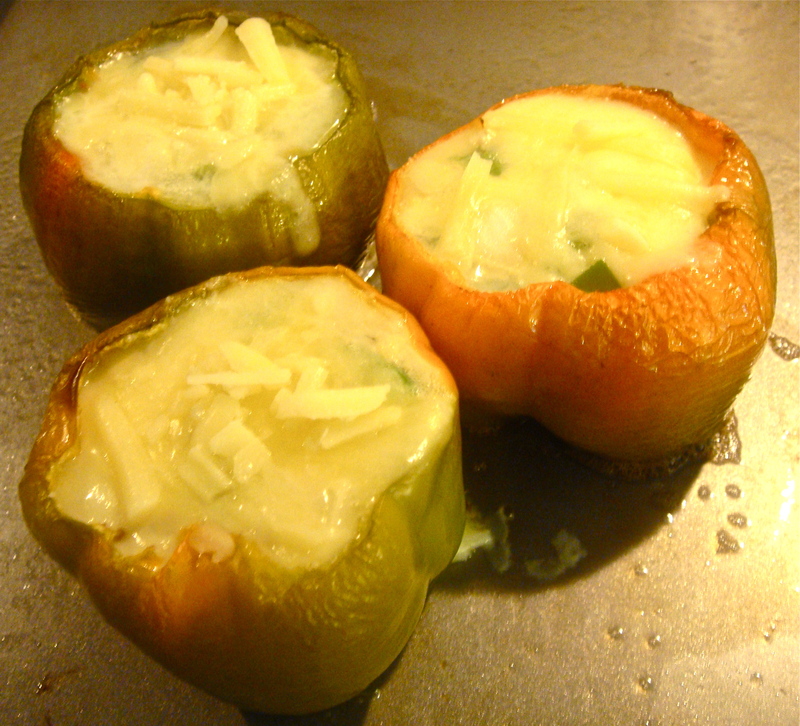 Afterward, add the desired amount of shredded cheese to the top and place in the oven until melted. Let the peppers sit and set about 5 minutes before serving.